Artist Caroline Bourne is nearly fifty and wishes to relocate to the country for a “serene old age”. She purchases a small farm in Lansdale (between Lancaster and the Pennines in England) and an associated bit of land containing a disused quarry, now filled with water, and a cottage beside it. She involves her young cousin Kate Hoggett and Kate’s husband Giles to work the land while she restores the entire estate, including an art studio. (Giles Hoggett is known to the Lorac aficionado through his active assistance to Inspector Macdonald in two earlier cases in the area, as a kind of local Watson.) But Caroline’s path to acquiring the farm is not smooth; the auctioneer seems strangely reluctant to accept her bids, and it’s only due to an expensive car getting trapped in a muddy farm road that she doesn’t have well-heeled and determined competition in the auction. But she prevails … except that strange things are now happening in the neighbourhood, and seem to be focused on a missing farm labourer and the dark water of the flooded quarry. There’s also the mysterious behaviour of the new owner of local Hauxhead Castle, who commissions Caroline to do a brochure promoting the castle in its new role as an expensive hotel; but doesn’t seem to care if the brochure is produced. Inspector Macdonald has dropped by early in the book to catch up with his old friend Giles and takes a hand when the local constabulary proves itself unable to find the missing labourer. MacDonald, Giles, Kate, Caroline, and the local police investigate a number of small mysterious occurrences in the rural farming community, with all its country ways, until a surprising crime is brought home to the guilty — and the still waters are settled. 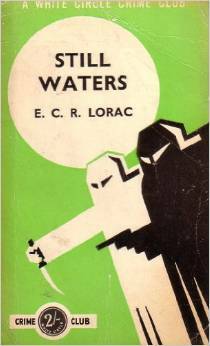 E. C. R. Lorac (the major pseudonym of Edith Caroline Rivett, who also wrote as Carol Carnac) is an acquired taste and a difficult one for which to provide. Lorac novels are hard to get and expensive; really, ripe for reprinting, if anyone can find the originals from which to reprint. 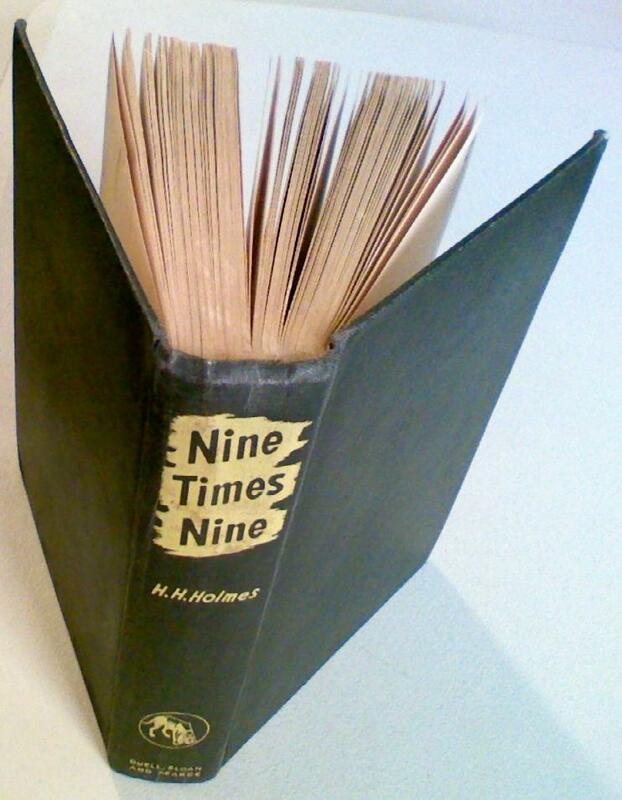 (I’m aware of a gentleman who has been collecting her 71 first editions for decades and still needs eight to complete the set, three of which he doesn’t expect to ever find.) She wrote — I want to call them “gentle” mysteries. Inspector Macdonald was her major detective, but she also wrote about Inspector Ryvet and Chief Inspector Rivers, all of whom are pretty much the same. They are honest, straightforward, morally upright gentlemen who work hard to catch criminals but are also human beings who form friendships among the people they investigate and take pleasure in everyday things that have nothing to do with murder. The stories sometimes involve fairly brutal murders, but there is always a leavening of people involved who are both interesting and non-criminal. It is somehow clear to the reader that certain characters should not and cannot be suspected — they are, to use an overworked word, “nice”. Her books always have nice people in them; friendly, intelligent, everyday people who find themselves brushing up against criminals. In this case they are primarily farmers. Lora’s writing is really very good. There’s an interesting choice of language throughout; for instance, on the first page, I learned a new word, “shippon”, a kind of farm outbuilding. The conversational tone is well-written; descriptions are clear and direct. And there is a very nice overall tone that is hard to describe — let’s call it “gentility”. This is a writer who is writing with intelligence and a strong sense of social place, and addressing an audience with intelligence who wants to know about that social structure. She does it by telling you about it and by showing you how it works, in an engrossing and yet economical way. You don’t lose sight of the plot, but you do find some enjoyable byways down which to wander for a moment. There is a lot of interesting material in this particular volume about the difficulties of agriculture in post-war Britain; quotas for this and that, getting planning permission to renovate a cottage and permission to buy building materials, even the right to employ workers to do renovations. There are also currency restrictions, high import duties, food rationing, and the impossibility of filling out the paperwork to make it all happen. And this is the sort of thing I do enjoy reading about in detective fiction; the little details of life that are different from my own present-day existence. I’ve never lived with food rationing but it seems to have produced a very healthy generation … we could probably all use a little post WWII austerity in our lives 😉 The details of the crime, however, will not occupy you for long. This particular volume, uncommon with Lorac I assure you, postpones any kind of actual criminality until quite a way into the volume and unfortunately the suspense is neither well-built nor dramatically relieved. The criminal plot is so slight as to make this almost a novel about the people and the place, and not a murder mystery. Again, this is not what Lorac is usually all about; her murder stories are usually as bloody and direct as anyone else’s. 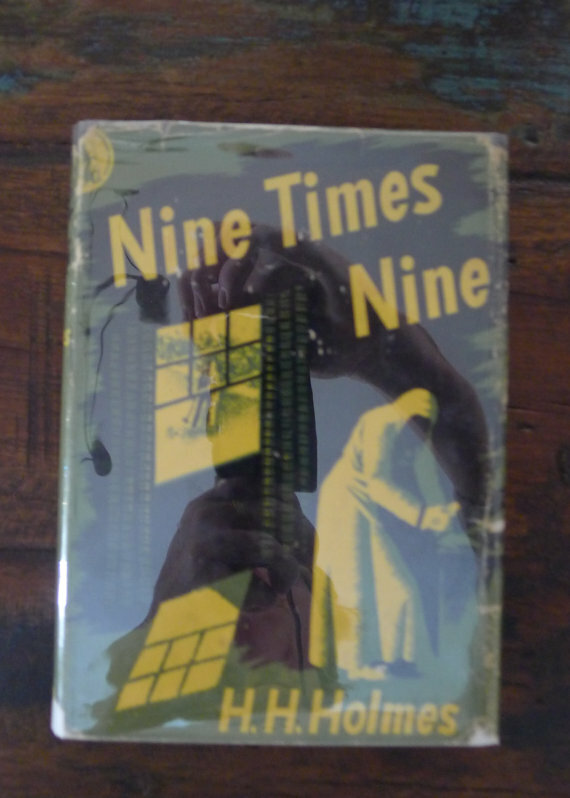 I’m not familiar with all the volumes, but this is one of a set of stories that the author told set against the background of rural Lansdale, and Giles Hoggett is at this point a recurring character. (There’s a nice moment where the local bobby realizes that Giles has the ear of his superiors and sets out to outdo the amateur detective.) There’s a somewhat explanatory Foreword addressed to the fictional Giles and Kate, but apparently speaking to two real-life people who are their models. Anyway, I had an odd moment when I first read this book, thinking that I had somehow bought the same book under two different titles. Not so. There’s at least one other Lorac novel in my library that has a remarkably similar plot and characters, called Let Well Alone; so similar that I confused them for a moment. 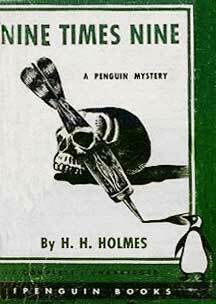 I’ve only ever seen the edition at the top of this post, Collins White Circle Crime Club 256C, although my edition is perhaps earlier since its cover price is 1/6. However, I haven’t mastered the many details of Collins White Circle editions; this could be from any Commonwealth country and be simultaneously published with the above edition. The “C” in 256C, the serial number on the spine, could stand for Canada or indeed anything at all, I just don’t know. 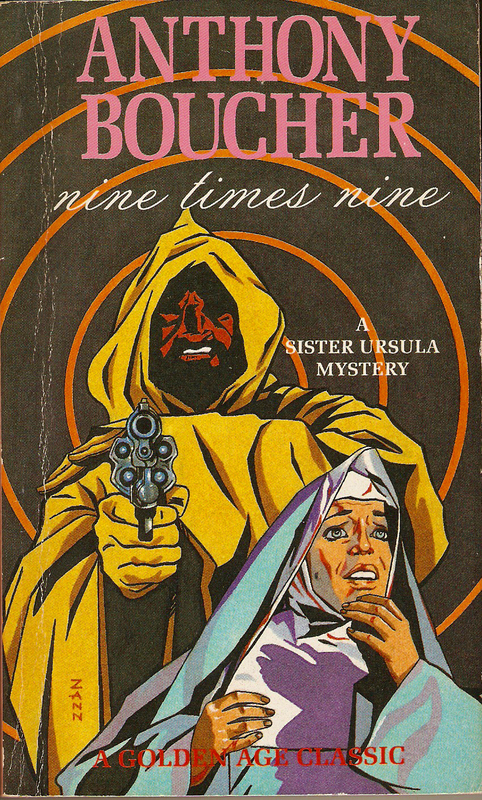 What I do know is that this cover design is fairly constant with a large range of Collins White Circle Crime Club paperback editions, with the twin hooded figures used as the standard cover art. I think this is so that the title-less covers could be printed and shipped to, say, Toronto or New Delhi to have the titles imprinted on locally-printed books … again, just a guess, but I’ve seen the occasional edition with a red title that is obviously a surprint. The design of the two figures has a great Art Deco feel; I always find my heart beats a little faster when I see it from across the room in a bookstore because I might be about to find a really scarce title. Almost all the titles in this series are at least worth a look and some can be very valuable. How expensive are these? Well, there isn’t a single paperback copy available that I can find for sale on the internet — on ABEbooks, three copies of the first edition in orange boards from 1949, none with a jacket, all Good or better, trading between $45 and $50, without considering postage. Ouch – but a first in jacket might be $300 or more. A paperback copy of the other Lorac title I mentioned, Let Well Alone, will set you back $16 to $18 without considering postage, and this should be a roughly equivalent price to this title. I should add that this publisher’s editions are notoriously fragile and the best purchase for one of these is one in good condition. My own reading copy, which someone scotch-taped to hold on the loose front cover, I paid $4 for and would probably not take $10 today; all these books are scarce and I will probably re-read this in ten or twenty years, so I’ll just keep it. Happy hunting! Mr. Justice Unwin is summing up a great deal of evidence at the trial of Peter Gaskell for the murder of Walter Drage. In an extended flashback, he sums up the evidence by, for, and against the prisoner. Gaskell and Drage were staying in a rural hotel, Gaskell recovering from a breakdown from overwork. They both became involved with the same pretty young girl, and at the end of a week the evidence ends in a great mass of detail about the last hours leading up to Drage’s body being found at the bottom of a seaside cliff. We meet and hear from chambermaids, a hotel manager, various other guests at the hotel. We become very familiar with the ways in which barristers at trial are guided and corrected by the judge as to the admissibility of various kinds of evidence. We peek into the thoughts and preoccupations of the jurors, learned counsel, and even the judge himself, who apparently solves crossword clues in one part of his mind while summing up with another. As Mr. Justice Unwin approaches the last phase of his summing-up, having left the reader with the impression that Mr. Gaskell is going to be found immediately guilty by the acquiescent jury, he has a mild heart attack and the trial goes into abeyance until he recovers. The second half of the book depicts the activities of investigator Morley Aston, who travels to the hotel with the intention of overturning the case against Gaskell. As we meet people whom we’ve previously seen testify, and hear them tell their stories in a different context and manner, a completely different picture of the events of that fateful day begins to form in the reader’s mind. As Aston investigates, he collects sufficient evidence to bolster a surprising new theory about the murder case; this is explained to the reader in a long chapter, and the final moments are devoted to an unusual ending to the trial, once the Justice returns to the bench. J. Jefferson Farjeon has recently enjoyed a resurgence of interest, thanks to the republication of his Mystery in White by British Library Crime Classics to delighted critical and public reception. And rightly so, judging by this volume. It is a very intelligently written work of classic detective fiction and I highly recommend it. I haven’t gone into too much detail about the events of the book; I think it’s very unlikely that most of my audience will have already read it, which is not the case with many of the books about which I’ve written. This is such a clever little mystery that I don’t want to spoil your enjoyment once you do manage to find a copy (there’s every chance this will soon be reprinted). 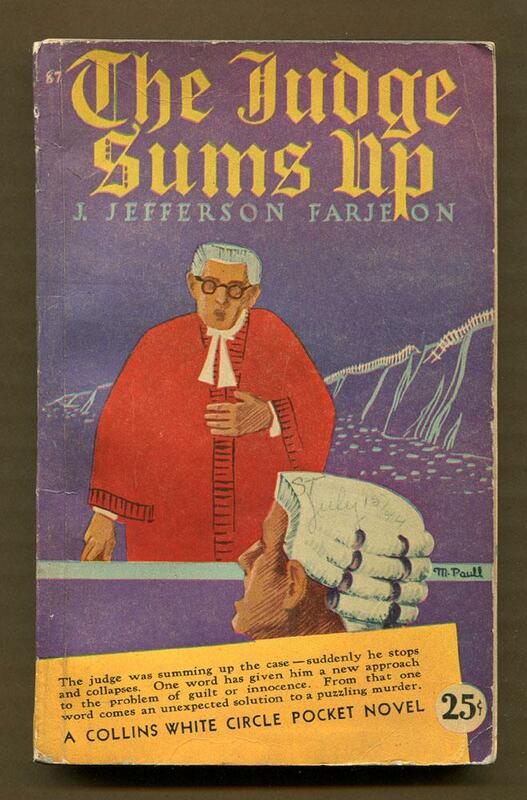 You will note on the cover illustration of the first paperback edition (and pretty much the only paperback edition, as far as I know) that the judge has noticed a single word that “has given him a new approach the problem of guilt or innocence”. This is in fact true; unfortunately I worked out the word to which the cover refers and it helped me work out the approximate solution before the end of the novel. It spoiled my enjoyment just a little, because it was truly an elegant and detailed solution that had been painstakingly created to take the trial evidence and turn it on its head. I think of this kind of novel as a “snowglobe mystery” — halfway or two-thirds through the book, the author gives the plot a shake and all the familiar features and inferences of previous events are transformed into something with a different, nearly opposite meaning. Perhaps it’s that I have a fondness for this kind of plot, which is difficult to manage. But if you enjoy Golden Age Detection classics I think you will enjoy, and be surprised by, this book. So pardon me for not telling you much about it; just this once, trust me. If you like Anthony Berkeley and Christianna Brand and Freeman Wills Crofts, you’ll like this book too. And if you haven’t managed to work out the crucial word, the judge’s thoughts explain its importance in the final sentence. I’ve only ever seen the edition at the top of this post; I have a rather more bedraggled copy than shown here. Collins White Circle paperbacks were not well made, for the most part, and many have disintegrated over the years. I’m aware of about three other editions including the first, which has an undistinguished type-only cover, and a strange publication as an insert into a Philadelphia newspaper in bedsheet format. There don’t seem to be any beautiful editions; the Collins White Circle has at least the charm of being ugly in a naive retro way.